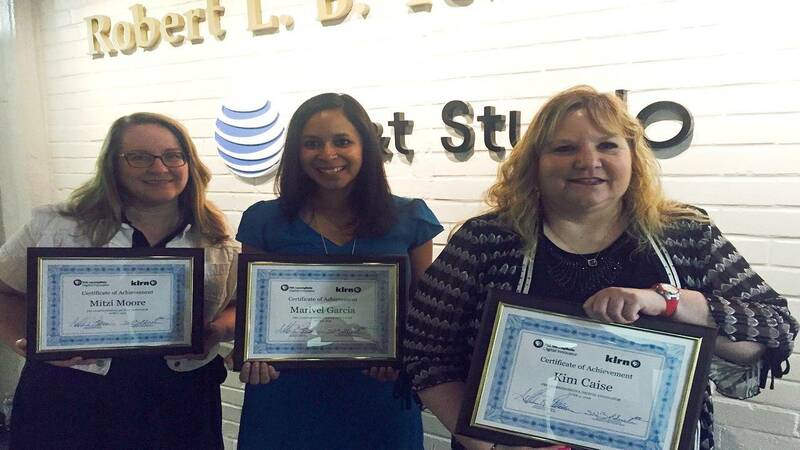 Mitzi Moore, Marivel Garcia, and Kim Caise (L-R) were recognized. PBS has announced the members of its 2016 PBS LearningMedia Digital Innovators Program. Now in its fourth year, the program honors teachers from across the country who exemplify excellence in using technology and PBS digital media to support student learning. Three of those teachers are from right here in San Antonio and even though we can never really thank teachers enough, I'd like to recognize the difference these three are making in the lives of our children. Kim teaches in the fully-accredited, online K-12 public school Connections Academy. She’s been an educator and technology specialist for the past 20 years and has conducted numerous professional development sessions to educators around the world. She also is co-host of Classroom 2.0 LIVE—a program that is broadcast online every Saturday morning. Marivel is a 3rd grade teacher at Pecan Valley Elementary School in East Central ISD. She’s a big believer in technology and has taught with iPads over last three years. As she says on her website, technology provides opportunities for our students to show creativity and innovation while they’re learning. Mitzi Moore teaches at the International School of Americas in North East ISD. She strives to support her students to become global citizens. She doesn’t teach skills in isolation—but how those skills can impact the world. Our Innovators will receive year-long professional development opportunities, virtual trainings, exclusive resources from PBS LearningMedia Custom, a free PBS TeacherLine professional development course, networking opportunities and more. Congratulations Kim, Marivel, and Mitzi!